Peter has been a principal in Ostick + Williams since 1981 when he joined the practice as a partner. During this time he has overseen the expansion of the practice into a wide range of market sectors and has been actively involved in all aspects of the practice's services including architecture and town planning. 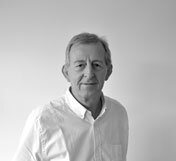 Peter's main interest now is in working closely with private developers on large commercial projects where a strategic overview is necessary and high quality design, maintenance of programmes and economic reality are essential ingredients. Projects in which Peter has been involved are located in Ireland, the United Kingdom and the Middle East. They include stadia, commercial leisure, master planning, shopping malls, hotels, retail parks, residential tower blocks, office parks. 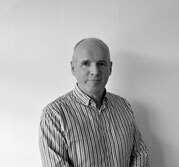 Ken has over 25 years experience as a Chartered Architect working throughout Ireland on a wide variety of building types including manufacturing, scientific, offices, retail and higher education. He has extensive experience in the design of complex highly serviced laboratories and specialist production facilities. Ken places equal emphasis on the importance of creating attractive building designs through careful development of the project brief and the delivery of construction excellence through professional project management. He is very experienced in the role of design team leader working in collaboration with other construction consultants to deliver best practice integrated design solutions in response to his Clients requirements. 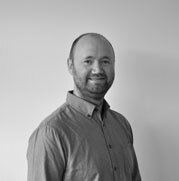 Chartered Architect and Project Manager with over 20 years experience in major retail, leisure and residential projects, Niall has in recent years specialised in large retail developments throughout Ireland with the emphasis on efficient delivery of a professional service to exacting client requirements. In his Project Manager role he places particular emphasis on ensuring Design Team cohesiveness. In response to the current demands for an environmental approach to design he has developed a particular interest in sustainable materials and passive energy which are embodied in his more recent schemes. Niall has responsibility for office IT systems and procedures which provides a sound basis for optimum service to his clients. Stuart has worked with Ostick and Williams for the past 18 years. 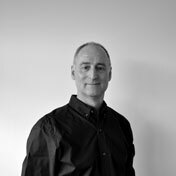 Since qualifying as a Chartered Architect in 1998, Stuart has gained extensive experience working on a wide variety of building types including retail, offices, leisure, civic and residential. Stuart is currently leading a technical team within Ostick and Williams for the external envelope package on a major Grade A office building in Europe using level 2 BIM protocols. He is also the project architect for the redevelopment of Brandywell Football Stadium. In addition to major commercial projects Stuart has been the lead architect for the award winning E3 project based learning facility for Belfast Metropolitan College. 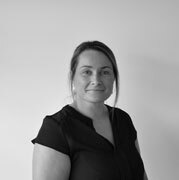 Roslyn is an experienced charted architect and has been with Ostick + Williams for over 11 years. She has worked extensively within multi-disciplinary teams and has the ability to develop integrated design solutions by working collaboratively with consultants, user groups and contractors. Her experience includes major commercial, retail, office and scientific facilities. She has recently been the lead project architect for a global clinical diagnostics company in the redevelopment of an existing 40 acre site and is currently co-coordinating the design of a specialist pharmaceutical cleanroom production facility. As BIM Manager Marc is responsible for ensuring staff training, current standards and a collaborative framework is embedded in every BIM Projects. Marc has had practical experience working on a multitude of project types ranging from mixed use commercial, pharmaceutical, through to educational Institutions. 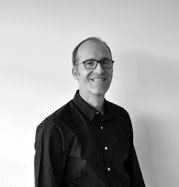 Marc has worked within multi-disciplinary teams as both an architect and BIM expert and is able to develop good working relationships with the clients and individual members of the project team. Marc currently works on and oversees numerous BIM projects using Autodesk Revit to develop models at various stages of the RIBA Plan of Work to be shared with other members of the Integrated Design Team. 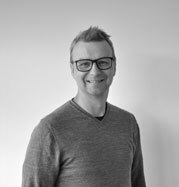 Richard joined Ostick + Williams in 2017 with over 20 years experience as an architect working in Germany and the UK. 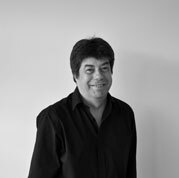 He has experience on a wide variety of building types including offices, large scale residential, education, healthcare and leisure facilities, with responsibility for design, inter-disciplinary coordination and project delivery.